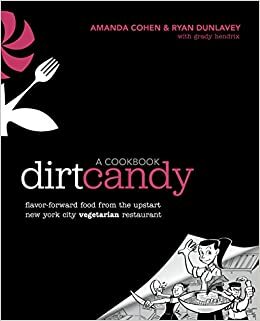 This is a graphic novel and cookbook in one. It’s about Cohen’s life as a chef and vegetable focused restaurant owner. Along side recipes and discussions on how to cook vegetables well, there is a lot of on how the struggles and challenges of opening and managing a restaurant. It may be a slightly easier outside of New York City, but I have always been wary of that industry. As much as I like food (and maybe harbour some deep desire to train to be a pro if I ever had the money/time), the idea of owning a restaurant has never really appealed to me. It’s expensive and stressful. I know from growing up as an immigrant and observing my parents working in and out of restaurants. Many migrants work in the industry and they often can good money doing it especially if they ever open one up. The recipes in this novel are interesting, but I’ll be honest and always found some vegetable techniques complex. I need to be more innovative with my vegetables. The book did have some good tips on it though. All in all, an interesting graphic novel and cookbook. I’d recommend to readers who enjoy either or both.